Modi and Xi are expected to meet this year on the sidelines of the Shanghai Cooperation Organisation (SCO) summit. Beijing/New Delhi: Xi Jinping and Narendra Modi held a telephonic conversation on Tuesday during which the Indian Prime Minister congratulated the Chinese President on his re-election for another five-years. The telephonic talk between Modi and Xi came a day after Modi congratulated Xi on Chinese social media. Modi said that Xi's re-election shows that he enjoys the support of the whole Chinese nation, state-run Xinhua news agency said in a report. "Dear President Xi Jinping, congratulations on getting re-elected as the President of the People's Republic of China," Modi had said in his message posted in his account on the Chinese social media platform Weibo. "I look forward to working with you for further development of our bilateral relations," he had said. Last week, Xi was unanimously elected by the 2970 deputies of rubber-stamp Parliament, the National People's Congress (NPC). Xi, 64, now enjoying a life-long tenure, has emerged as the most powerful leader after Mao Zedong as he headed the ruling Communist Party of China (CPC), the military and the Presidency. India and China are currently making diplomatic efforts to improve the relations in the aftermath of the 73-day long standoff at Doklam in Sikkim section. While Foreign Secretary Vijay Gokhale visited Beijing recently and held talks with top-level Chinese officials, Defence Minister Nirmala Sitharaman recently said she planned to visit China next month. 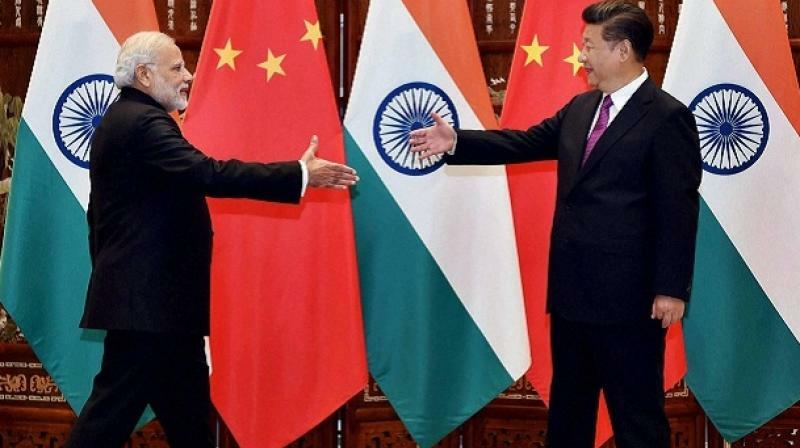 Modi and Xi are expected to meet this year on the sidelines of the Shanghai Cooperation Organisation (SCO) summit to be held in June this year at the Chinese city of Qingdao.